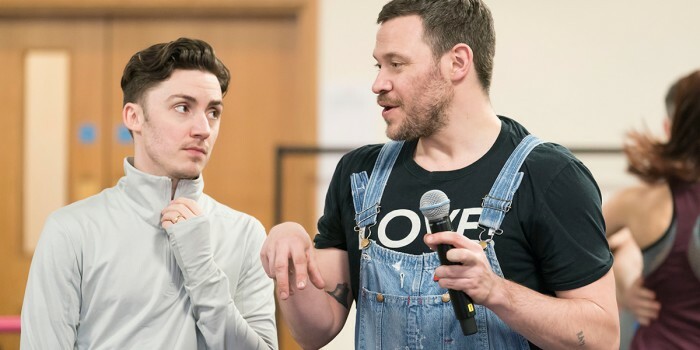 Love is well and truly In The Air at the Piccadilly Theatre, as the likes of Will Young, Jonny Labey and Zizi Strallen gear up to bring Baz Luhrmann’s iconic Strictly Ballroom The Musical to London’s West End. 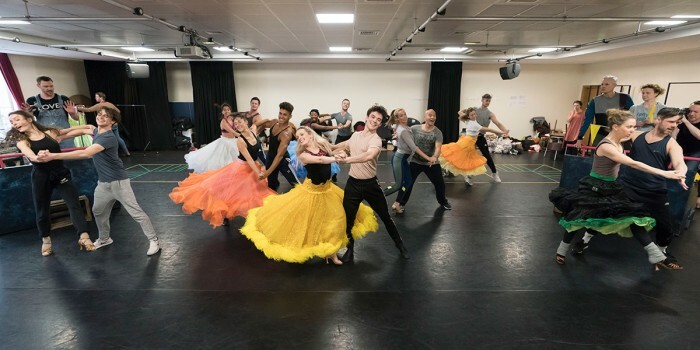 Based on the feelgood film that inspired the world to follow their heart and dance, rehearsals are well underway for Strictly Ballroom The Musical – and from the looks of things, we can expect no shortage of nifty footwork, colourful costumes, and stunning spectacle. 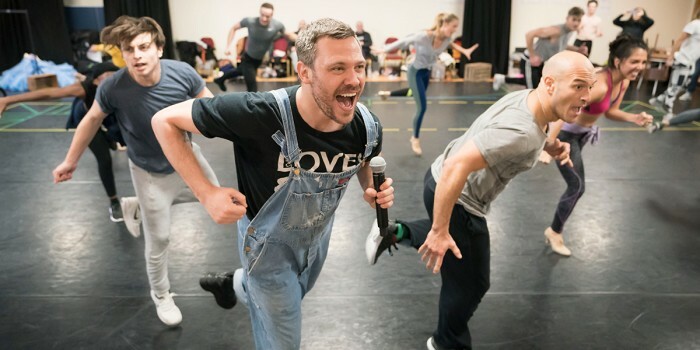 Pop Idol winner Will Young will play the brand-new role of band leader, Wally Strand, alongside Jonny Labey (winner of ITV’s Dance Dance Dance) and West End star Zizi Strallen as the iconic lovers Scott and Fran. Check out the first snaps from the dance floor below. 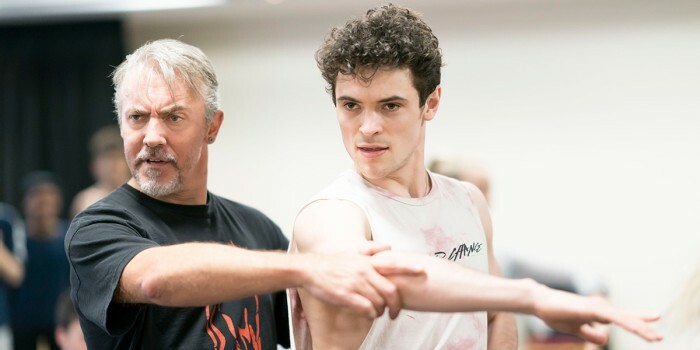 You can also take a look at our interviews from the production’s West End launch. 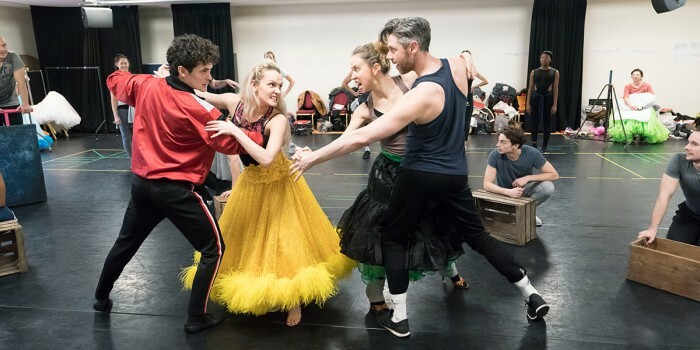 Strictly Ballroom is the romantic story that was embraced around the world, and went on to put the Strictly into Come Dancing! 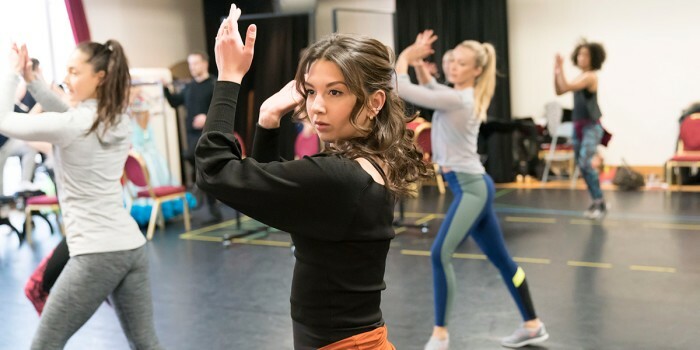 Based on the multi award-winning movie, the first instalment from Baz Luhrmann’s acclaimed Red Curtain Trilogy, the musical production is a kaleidoscope of colour and fun. When rogue championship ballroom dancer Scott defies all the rules of competition to follow his heart, he teams up with left-footed partner Fran to compete in the Pan Pacific Championship his own way. Their love blossoms as their routines flourish, and together they triumph in bringing down the sequin-clad regime of the Dance Federation. 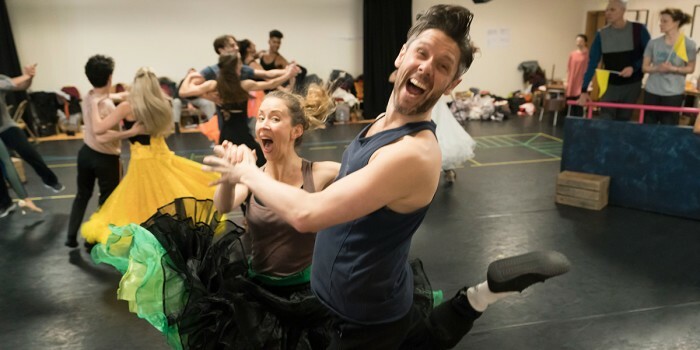 Book your Strictly Ballroom The Musical tickets today!